We pride ourselves on being a solutions provider and we work hard to solve the display graphic ‘nightmares’ that hinder our clients’ creative vision. In fact we relish the challenge, no matter how unusual the problem. We recently came to the rescue of Camper’s long running design agency Scott Wills Design, who were having trouble with their store window film. 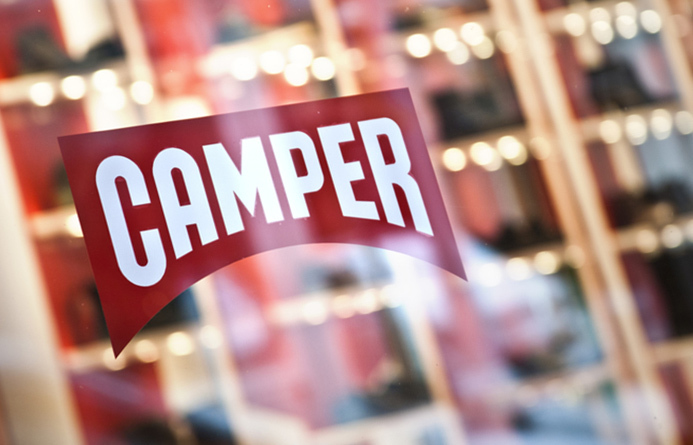 Camper’s regular glazing graphics were designed to promote seasonal campaigns but were difficult to install and remove, as the new, replacement substrate had begun to curl at the edges. We were tasked with finding a double-sided, printed window film that would offer ease of installation and removal whilst promising reliable adhesion for the entire length of the campaign. Over a three week period of research and testing several different materials and with the help of their manufacturers, we finally found the answer in a new innovative material fresh out of R&D. The problem had arisen from too many layers of ink being applied to both sides of the film and effecting the adhesion to the glass. Our smart new product effectively combats this issue and we now produce all window graphics for Campers UK stores. We will now be rolling out this new material to other retail customers.